170,000 Displaced Persons arrived in Australia between 1947 and 1952 - the first non-Anglo-Celtic mass migrants. Australia's first immigration minister, Arthur Calwell, scoured post-war Europe for refugees, Displaced Persons he characterised as 'Beautiful Balts'. Amid the hierarchies of the White Australia Policy, the tensions of the Cold War and the national need for labour, these people would transform not only Australia's immigration policy, but the country itself. Beautiful Balts tells the extraordinary story of these Displaced Persons. It traces their journey from the chaotic camps of Europe after World War II to a new life in a land of opportunity where prejudice, parochialism, and strident anti-communism were rife. 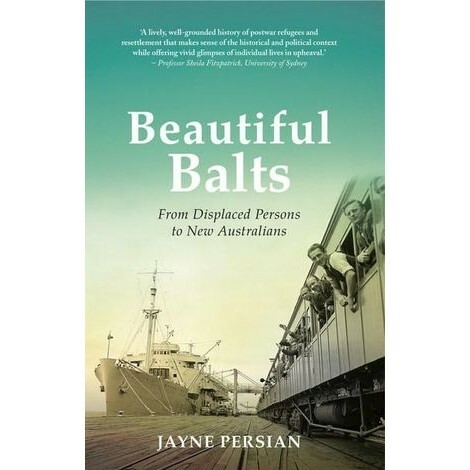 Drawing from archives, oral history interviews and literature generated by the Displaced Persons themselves, Persian investigates who they really were, why Australia wanted them and what they experienced.